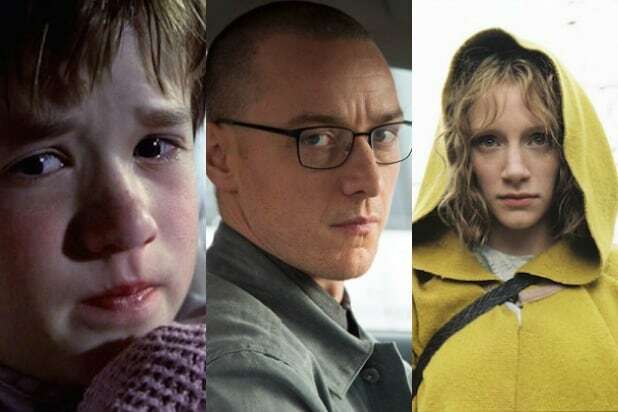 “Split” is many things, which — considering it’s about a multiple-personality kidnapper played by James McAvoy — sounds obvious. But since it comes from writer-director M. Night Shyamalan, popcorn cinema’s most sophisticated and confident peekaboo addict, it really means it’s enjoyably-stacked entertainment, equally crunchy and silky in its desire to be as appetizing a two hours as you could spend in suspended disbelief. And that’s saying something, considering the hole Shyamalan’s had to climb out of lately to win back fans. It was easy to believe after “The Sixth Sense” and “Unbreakable” that Shyamalan would become a perennially favorite multiplex conjurer, routinely keeping us all spellbound with moody, otherworldly stories — intricately woven rugs he then pulled with impish delight. But when his termite art strained to matter (“The Lady in the Water,” “After Earth”), wised-up moviegoers escaped the self-importance in droves. It took last year’s back-to-basics “The Visit,” a fairy tale-inspired chiller made under the less-is-more ethos of the horror-driven Blumhouse banner, to suggest a re-energized Shyamalan. “Split,” also a Blumhouse co-production, may be about a guy with many people inside him, but at least it was made by only one Shyamalan: the dude who knows how to creep you out and keep you guessing. It’s a welcome homecoming. Not that “Split” doesn’t have plenty of arty touches, and a conclusion sure to divide audiences. But it’s made with campfire-spooky care rather than an abiding need to impress you with his gifts. Shyamalan jumps into the peril immediately, with the daylight abduction of three teenage girls after a birthday party: sullen, flannel-wearing misfit Casey (Anya Taylor-Joy), and popular besties Claire (Haley Lu Richardson, “The Edge of Seventeen”) and Marcia (Jessica Sula, “Recovery Road”). Thrown into a rock-and-wood-walled basement room — no windows, but there’s a gleaming white bathroom — the frightened trio are torn between fight-back mode, which Claire and Marcia subscribe to, and pessimistic Casey’s wait-and-see attitude. Quickly they realize their captor (McAvoy) isn’t the easily pegged type: the sternly authoritative, cleanliness-obsessed man who imprisoned them later shows up in a skirt and talking like a prim Englishwoman, and after that, he appears in the guise and manner of a lisping nine-year-old boy. On the outside, as a fashion-obsessed man named Barry, he sees his psychiatrist Dr. Fletcher (Betty Buckley), from whom we learn that Kevin — his base identity — suffers from Dissociative Identity Disorder (DID), which has resulted in 23 distinct personalities. The kindly doctor subscribes to an empathy-driven theory of DID that patients like Kevin are not just trauma cases to manage closely, but instead keys to the untapped potential of the human brain to physically alter the body at will. But her suspicions are raised that Barry’s steady stream of emergency-request sessions sound to her like cries for help. She’s concerned that two of Kevin’s more nefarious “alters” — Dennis and Patricia — have taken over the primary consciousness (they call it “the light”) for an undisclosed reason. The girls’ fate, meanwhile, takes on a forbidding tone when Dennis, Patricia and Hedwig (the boy alter) start referring to an as-yet-unexposed personality they call The Beast. But who needs a menace-in-waiting when you’ve got a committed actor like McAvoy tearing it up already with a revolving door of characters? “Split” may get much of its narrative momentum from the keenly wrought suspense and dread-inducing visuals Shyamalan is so good at, from the uncomfortably crisp, off-kilter close-ups to the pipe-and-wire-strewn passageways and cramped rooms in Kevin’s underground lair that suggest our troubled criminal’s clogged, compartmentalized brain. (The arrestingly jaundiced cinematography is from “It Follows” DP Michael Gioulakis.) But it’s McAvoy who makes his face, movement and voice into the real star here, no less disturbing a performance for how much sympathy is baked inside its pummeling showmanship. It goes without saying that, because this is Shyamalan, there’s more up the sleeve than just an arm. 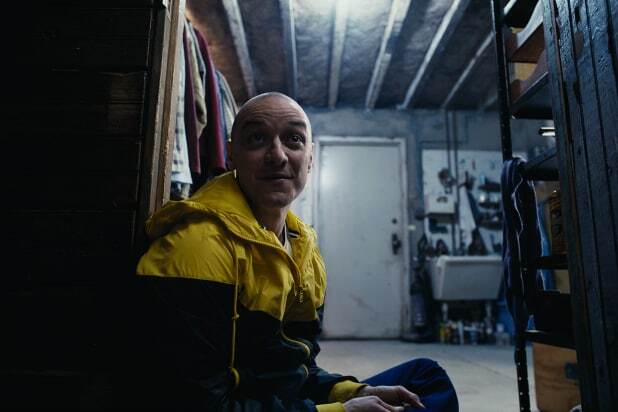 The conclusion, perhaps overly drawn out but still suitably nightmarish, is when certain story clues and percolating themes about emotional scars — tied in part to flashbacks from Casey’s childhood — allow Shyamalan the confidence to see if “Split” can punch above its weight as a rock-em-sock-em B-movie. It’s not wholly successful, but at least the effort doesn’t grate.